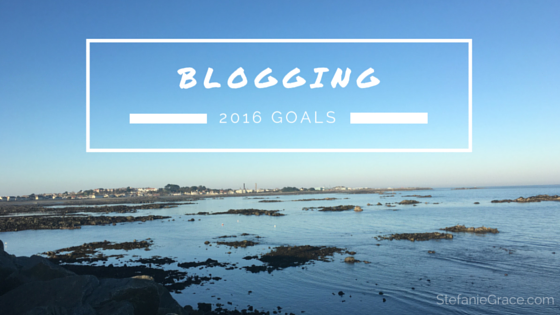 I’m so excited to be back on the blog this year. I didn’t blog very much in 2015, mainly because I was in the process of setting up a business, chasing my #girlboss dreams and moving to a new place. For 2016, I’m not announcing whimsical new year’s resolutions, but instead I’m setting goals for every area of my life. I’m also setting mini-goals each month to be able to reach those goals. I will also be checking in with myself weekly to make sure that I am on the right track. So, without further ado, let’s dive into my 2016 goals. The phrase ‘It’s a marathon, not a sprint’ has never rung more true. I always find it hard to get out and run in winter, especially when it is raining, which is all it is doing here on Guernsey at the moment. I need to get my running fitness back up, which means getting up and getting out there at least 3 times a week and also increasing my strength – Guernsey is full of hills, so I plan on running up them. Equally, I need to be cross training to keep my overall fitness & strength up which is why I will be eating much cleaner and working on my upper body strength. The overriding reason for setting goals is actually to improve my lifestyle. I work from home by myself and as a result, am often pretty disorganised. My boyfriend doesn’t work your average 9-5 so we don’t have a whole load of structure to our days. As a result, I can get 4 hours worth of work done one day and then 15 hours’ worth the next. Having well-thought out, achievable goals in every area of my life is really about creating structure and satisfaction in my daily life. I haven’t even unpacked my box of books since I moved to Guernsey 3 months ago. Having no commute means no time to read a book, so I have to carve out time to enjoy reading a book. I also spend far too much time on my phone than is good for me, so I plan to read actual books as much as possible, but also have my kindle on my phone for travel. I also have a terrible habit of writing a to do list a page long and then feeling so overwhelmed that I managed about 3 things on it – usually the absolute necessities – an then feel like a failure at the end of every day and sit with my computer late into the night on the sofa half-working, half-watching tv. Not big or clever. Or healthy. My plan is to give myself a bit of a break here and put more structure into my days by introducing basic things into my day – like getting dressed every morning. If I’m going for a run at lunchtime, I’ll often be in pyjamas until then. This shall no longer be the norm. The stresses of daily life and the lack of structure in my life often means that I can go weeks or months without speaking to friends and family – especially on the phone. I also find that I take out my own frustrations at the end of an unproductive day on my boyfriend which creates tension in the house when this shouldn’t be the case at all. I also keep missing birthdays and resorting to a jolly text or Facebook message on the day, which isn’t very me – I like to send cards and let people know I’m thinking of them. I’m fixing that this year by working on my communication and personal relationships. I hope to not be setting monthly goals by the end of this year for my relationships. I hope to be in a place where I don’t need to write ‘Call Grandma’ on a To Do list in order to be remember to do that. However, sometimes you have to plan to make a goal a habit, so this is how I’m dealing with this in January. No monthly clients managed exclusively by me by December 2016. All Things Social launched & successful. 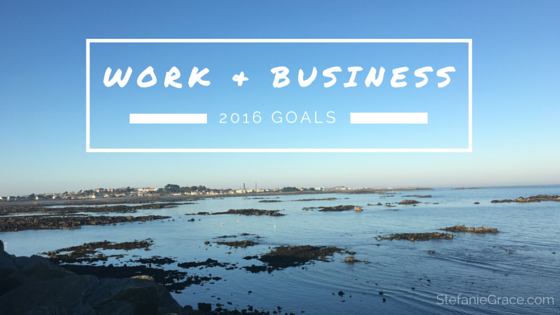 January is about delegation, organisation and finishing what I started – namely my business branding and behind-the-scenes admin. Wish me luck – I’m excited! Tie up UK finances & catch up on accounts for this year. I use CoSchedule, which is a brilliant editorial calendar that also reuses content and posts engaging social updates to Twitter, Facebook & LinkedIN. I love it but don’t use it to its full potential at the moment. I plan to post 3 times a week which means I only need about 12 posts a month. That’s not a scary number and it’s definitely achievable. Planning ahead will also help. I also always leave my own social behind when I’m dealing with client accounts, so planning out my own content as I do theirs will help with my daily posting schedule immensely. What are your 2016 goals? Let me know in the comments below!